DENVER (KDVR) -- How many times have you boarded a flight only to have to sit on the tarmac because of storms in the area? That recently happened for passengers on flight leaving Denver for Dallas. But one woman made the most of it. 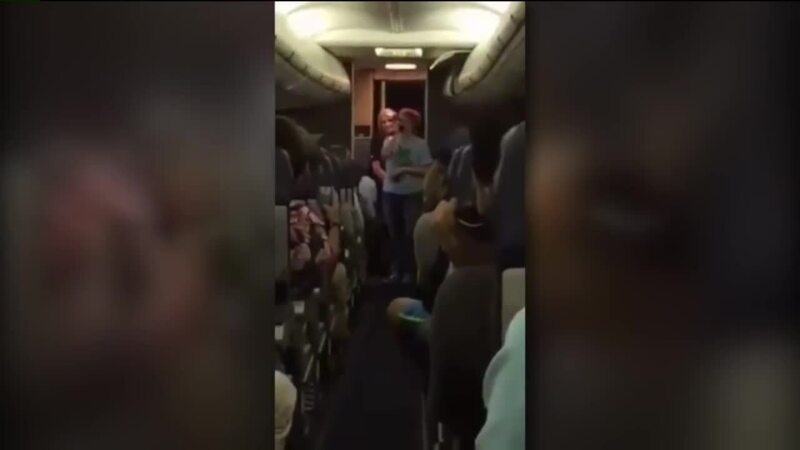 Jeska Bailey was headed back home to Texas when the flight crew asked for some on board talent and that's when some friends offered her up to sing "Somewhere Over The Rainbow." "It was very odd, but it was fun though," Bailey said over Skype. "Not what I thought I would be doing when I woke up that morning." When Bailey finished, passengers applauded her. She said some little kids even got up and sang when she was done.